You probably must have read a lot of blogs about IELTS Listening Tips, Tricks, and even Methods in passing the entire exam. However, it is best that we dive into what really is inside the IELTS Listening Test. In this discussion, Jay will give us an overview of the IELTS Listening Section and insights on how to maximize our time in answering the questions. 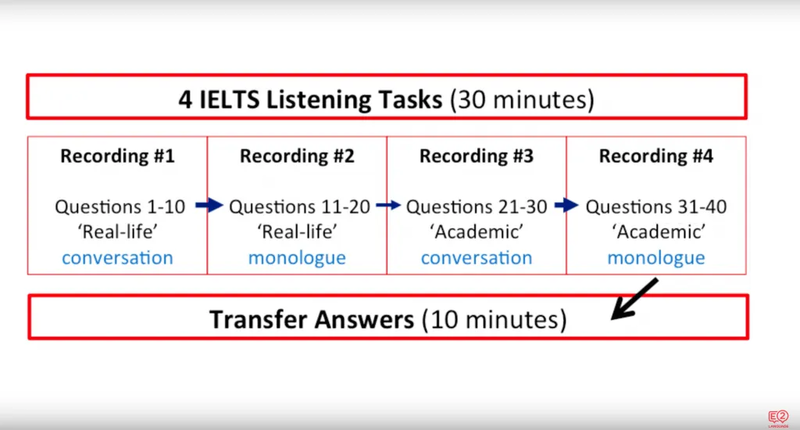 I’m going to give you an overview of the Listening section of the IELTS Academic Test. I’m going to talk to you about structure, question types, and time management. So let’s start by looking at the structure of this part of the test. 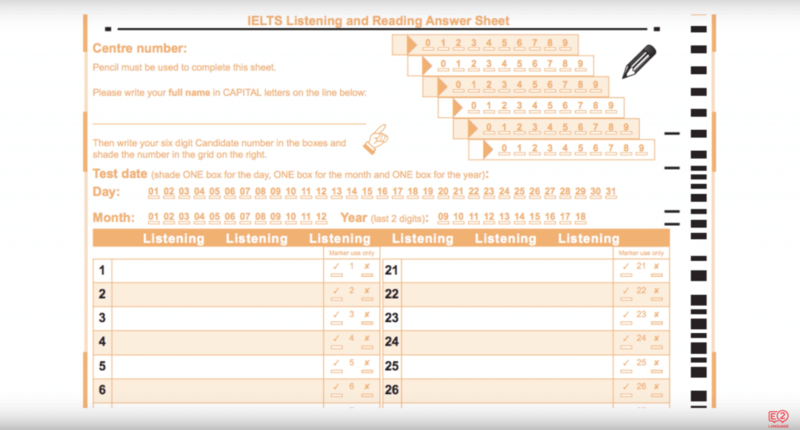 The Listening Section of the IELTS Academic Test is divided into 4 sections, each with 10 questions so 40 questions in total. You will have about 30 minutes to complete before sections. in addition, you have about 10 extra minutes to transfer your answers from your question sheet to your answer sheet. I’ll talk a bit more about this later. In the first recording, you’ll hear a whole conversation between two speakers, for example, a conversation about travel arrangements. In the second recording, you’ll hear a monologue or just one person speaking, for example, a speech about community activities. The last two recordings deal with education or training-related situation in section 3 there’s a conversation between two main speakers, for example, 2 university students in discussion perhaps guided by a Tutor. And section 4 is a monologue on an academic subject. You can only listen to the recordings once, that means if you want to do well on the listening task you need to be well prepared. To be well-prepared you need to be very familiar with the listening tasks so let’s take a look at these now. There are 6 different listening task types that you could see on your test. Each task is designed to test a different skill. You need to be able to recognize each task type immediately. This will save you a lot of time on the actual test conditions. In this table, I have made a list of the listening tasks 1 – 6. Beside each task, I have done a short summary of what each question type looks like. In the photo column, I connected this to the skill being assessed by each question type. There is quite a lot of material only on the IELTS exam. Half the challenge to success on the IELTS exam is organizing and managing the material. If you are serious about your preparations the I answer you need to work out a plan knowing each task type well is an essential part of that plan. Another aspect of a successful plan relates to time management. As I mentioned above you have about 30 minutes for the listening section of the test. With 40 questions in total for the section, you need to manage your time wisely. In addition to the 30 minutes, you’re given 10 additional minutes to transfer the answers you have marked on the question sheet to the answer sheet. This is quite important so let’s talk a little bit about transferring answers. 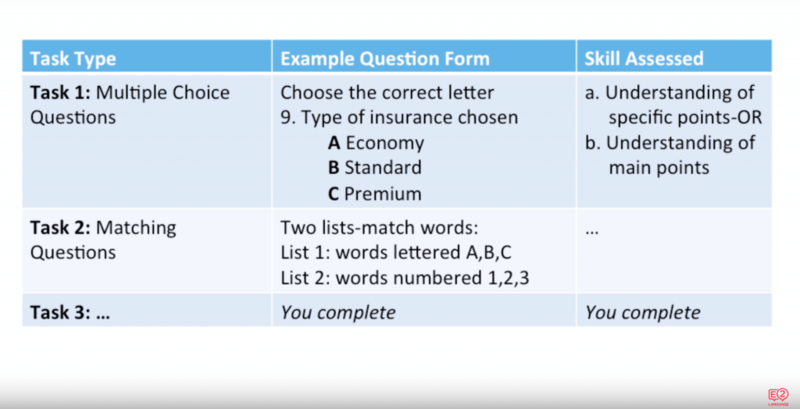 IELTS let you make notes and write on the question sheet. At the end of the 30 minutes, you’ll need the extra time to transfer your answers from the question sheet to the answer sheet. Be very careful when you transfer your answers on to the answer sheet, don’t get your questions and answers mixed up. Spelling and Grammar count and you don’t want to lose points here. So don’t be in a hurry and be careful to check and double check. If you are in a rush and you’re writing is unclear, your answer will be marked wrong. Okay, now you have the big picture. From here, each of the lessons in the listening section will focus on how to best answer the questions.